I've had a thing for Shailene Woodley's effortless beauty ever since getting hooked on the show "The Secret Life of the American Teenager" way back in '08. Within the past few years, Shailene has made her way into the mainstream spotlight thanks to the über popular "Divergent" movie release. I couldn't help but notice this great picture in a LOULOU Magazine Article which completely reminded me of my favourite bold lip colour. I'm so lazy when it comes to lipsticks and rarely find myself wearing them, despite the fact that I have far too many to count. After flipping through the Magazine's recommendations, I decided to recreate the simple, polished makeup on myself. I love how fun, bright and simple it is, especially for this warm summer weather. For the look I used Marcelle's Rouge Xpression lipstick in the shade Cleopatra. 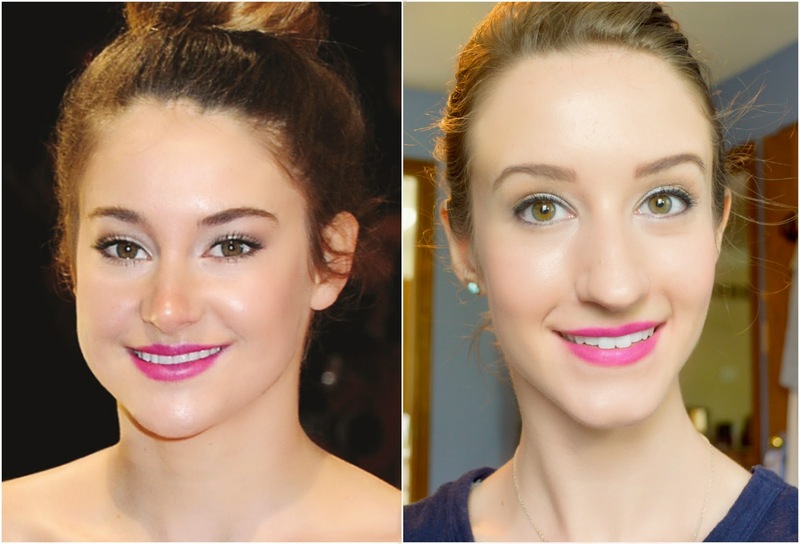 It pains me to say that this gorgeous magenta lip colour was limited edition quite some time ago, but Revlon's Berry Couture would be the perfect match to Shailene's colour. For a darker look, I'd go for MAC's (legendary) lipstick in Rebel. I love stumbling across inspiring makeup photos, which I typically pin directly to my Makeup & Hair board on Pinterest, which you can scroll through here. I always find myself in beauty ruts so a little push in the magenta direction is much appreciated. Thanks, LOULOU! And Shaliene.